Dr. Nabi works with children of all ages and knows how to help children to feel comfortable while visiting the dentist. 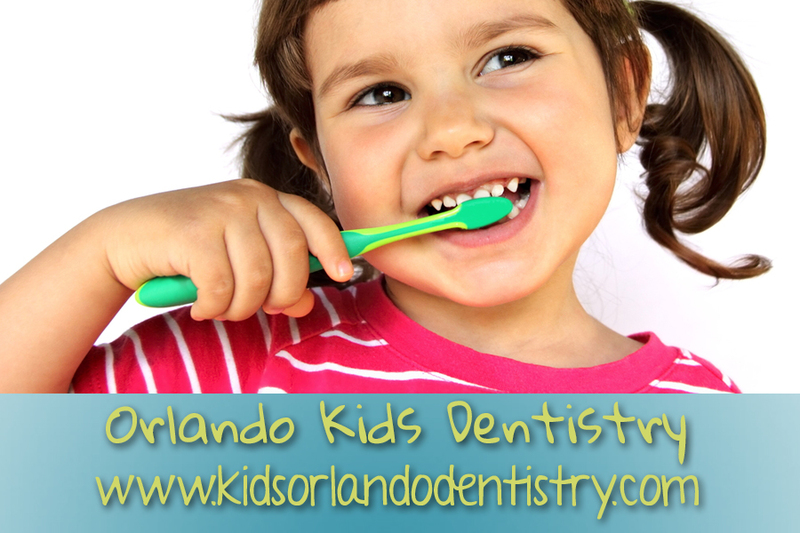 Families throughout Orlando visit our dentist office to have their children’s teeth cleaned. We recommend that teeth cleanings and exams start from a very young age. This is important for ensuring that baby teeth grow in properly and stay healthy until the adult teeth are ready to come in. Many people don’t realize how important healthy baby teeth are. Children can get cavities and gum disease just like adults do with the difference being that children are less capable of understanding or dealing with discomfort. We recommend that parents throughout Orange County to bring their children in for dental cleanings and examinations at least twice a year. This way we can remove harmful plaque and bacteria in order to prevent cavities. While cleaning children’s teeth, our staff has been trained to take it slowly and practice gentle dentistry. By building a rapport with our young patients, they will feel more relaxed during their dental appointments and visiting the dentist becomes fun instead of intimidating. We also recommend that parents take the time to read stories about going to the dentist and play games by teaching children how to examine their toy’s teeth. These little steps can help children to feel comfortable when getting their own teeth cleaned. By doing so twice a year, their baby teeth are more likely to stay in until they are supposed to fall out, and their adult teeth will also stay healthier. If you have questions about scheduling an appointment for your child call 407-502-0202. Orlando Kids Dentistry hopes to make going to the dentist an enjoyable experience for you and your child. We are committed to providing high quality compassionate dental care for all children in a pleasant, comfortable, and child-friendly setting. Our doctors and staff are specifically trained to help apprehensive children feel good about seeing the dentist and taking good care of their teeth. At Orlando Kids Dentistry, we do everything to make your child’s visits fun and we take pride in our ability to provide the highest quality dental services while doing so. Many of our parents ask how to prepare their child for their first dental visit. We suggest that you be very positive, stressing that a visit to the dentist will help your child to keep a bright smile and that dental visits are a part of growing up. Also, it seems to help if you refer to the dentist as “our friend”. For younger children, you can tell your child that the dentist wants to visit with him or her and count his or her teeth. Our office does recommend that you arrive a few minutes early so that your child has time to relax in our child-friendly waiting room and get comfortable with our office. Patient service is a priority at Orlando Kids Dentistry. If you have any questions or concerns, please do not hesitate to contact our office and speak with a member of our administrative staff. Thank you for your confidence in our dental team. Children are special to us, and we look forward to seeing you and your child.